“I asked her how close I needed to fly to get the audio she was looking for and the girl from down in Los Angeles replied ‘As low as you are comfortable with, not as high as those large airplanes’. [laughs] On the second pass, she was laying flat on the runway,” Doug Thiel tells, with animation, the first experience he had with “Hollywood”. The girl from Los Angeles was in charge of acquiring audio for the Disney blockbuster “Planes” and the sound of Dusty Crophopper was born from California operator Doug Thiel’s AT-802. Doug was born into farming, growing up on a row crop farm in California. His father learned to fly in the 1950s, strictly general aviation. Doug’s uncle had a sulfur dusting operation during Doug’s youth that instilled into him the agricultural aviation bug. His father always regretted not becoming more involved with aerial application. This fueled Doug’s fire to get into the business. Fresh out of college in the late 1970s, Doug began his aviation career and eventually logged about 100 hours in a Cessna Ag Wagon in Chowchilla, California. An ag seat opportunity presented itself in Dalhart, Texas prompting Doug to migrate there in 1981. Doug flew the next five years for Delmer Miller, a Texas operator who operated Cessnas. Texas prevailing winds and a decrease in commodity prices forced a move back to Chowchilla, where Doug took a seat flying for Ron Wilson in a 600 Thrush and AT-301. In 1991, Doug Thiel was introduced to night flying. After all, this area was the birthplace of the practice. For night flying, Doug also was transitioned into turbine aircraft, particularly the turbine Thrush working for Vance Aircraft. He continued working with Vance Aircraft until the late 1990s. 1997 brought about young children and an opportunity to open his own flying service. Doug started Thiel Air Care with one 500-gallon Thrush. He flew as the only pilot for the operation until, in 2002, a rogue pothole in the runway collapsed the landing gear. Doug replaced the Thrush with a 1991 AT-502. In 2003, Thiel Air Care expanded by adding an additional AT-502 on a lease/purchase from Neal Aircraft. Since then, he has been steadily adding to the fleet. Doug purchased an AT-802 in 2005 due to the increased demand for 15-20 GPA fungicide work that is ever-prevalent in Southern California. Doug’s son, Robert, returned to Thiel Air Care, after serving in the Air Force as a mechanic, and earned his commercial rotorcraft license. In 2014, Doug added a Bell 206B2 JetRanger to his aviation arsenal, which Robert flies. “In Central California, any major player in aerial application either has a helicopter or is seriously thinking about one,” Doug explains. The Pesticide Crop Advisors (PCAs) and customers are increasingly requesting helicopters for sensitive crops. Thiel Air Care currently operates two AT-802s with -65 engines, one AT-502A with a -60 and two AT-502Bs with -34s. This is in addition to the Bell JetRanger. All the aircraft (minus the JetRanger) run dual pumps (hydraulically assisted and wind-driven) to supplement the high gallonage work required. All aircraft are utilizing SATLOC G4s, have an Auto-Cal flow control system, CP-11s nozzles and APS check valves. Doug Thiel’s family is deeply rooted in aviation, as is very common amongst aerial applicators. Doug’s daughter, Amy, is managing the office, flight instructing, working with an aircraft charter business and even has her own skydiving team. 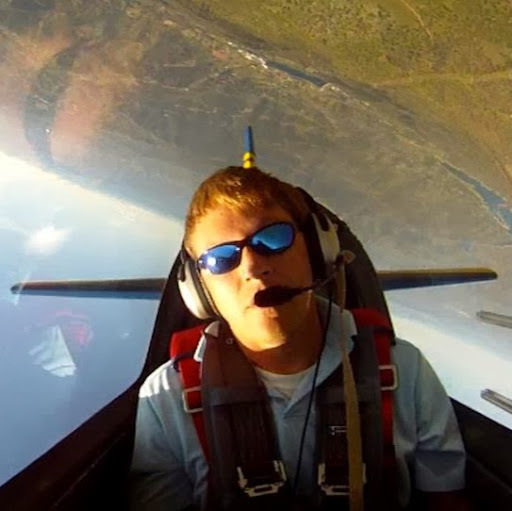 Ross Anderson, Doug’s son-in-law (married to Amy), stems from an award-winning aerobatic father, Pete Anderson (1990 U.S. National Aerobatic Champion). Doug’s late wife, Alison was also smitten with the aviation bug. Not only a registered nurse, Alison was heavily involved with aerobatics and a flight instruction. She even did a little instructing at the ag school in Bainbridge, Georgia.